IBM - 44E5034 44E5034 IBM Intel Xeon Quad Core X5365 3.0GHz 8MB L2 Cache 1333MHz FSB Socket LGA 771 65NM 150W Processor Only For System X3650 Server. New Bulk Pack. 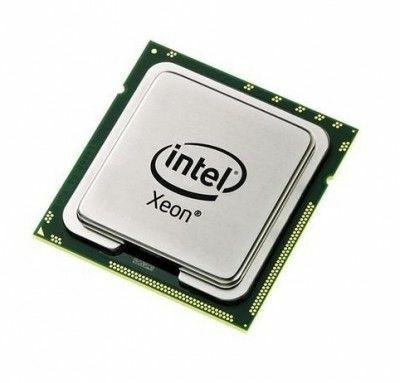 Dell - 311-7644 311-7644 Dell Intel Xeon Quad-Core X5365 3.0GHz 8MB L2 Cache 1333MHz FSB Socket LGA-771 65NM 150W Processor. New Bulk Pack. Hewlett Packard - 458452-B21 458452-B21 HP Intel Xeon X5365 Quad-Core 3.0GHz 8MB L2 Cache 1333MHz FSB Socket LGA 771 Processor. New Bulk Pack. Hewlett Packard - 445560-L21 445560-L21 HP Intel Xeon X5365 Quad-Core 3.0GHz 8MB L2 Cache 1333MHz FSB LGA 771pin Socket Processor. New Bulk Pack. Hewlett Packard - 452997-B21 452997-B21 HP Intel Xeon X5365 Quad Core 3.0GHz 8MB L2 Cache 1333MHz FSB 771pin Fclga 6 Socket Processor For Proliant Dl140 G3 Servers. New Bulk Pack. Hewlett Packard - 453190-L21 453190-L21 HP Intel Xeon X5365 Quad-Core 3.0GHz 256kb L1 Cache 8MB L2 Cache 1333MHz FSB 771-Pin LGA Socket Processor. New Bulk Pack. Hewlett Packard - 453190-B21 453190-B21 HP Intel Xeon X5365 Quad-Core 3.0GHz 8MB L2 Cache 1333MHz FSB Socket LGA771 Processor For Proliant Server. New Bulk Pack. Hewlett Packard - 445560-B21 445560-B21 HP Intel Xeon X5365 Quad Core 3.0GHz 8MB L2 Cache 1333MHz FSB LGA 771pin Socket 65nm Processor For Proliant Dl380 G5 Servers. New Bulk Pack. Hewlett Packard - 450321-B21 450321-B21 HP Intel Xeon X5365 Quad-Core 3.0GHz 8MB L2 Cache 1333MHz FSB 771-Pin LGA Socket Processor For Proliant Servers. New Bulk Pack. Hewlett Packard - 452997-L21 452997-L21 HP Intel Xeon X5365 Quad Core 3.0GHz 8MB L2 Cache 1333MHz FSB 771pin FCLGA 6 Socket Processor. New Bulk Pack. Hewlett Packard - 453188-B21 453188-B21 HP Intel Xeon X5365 Quad Core 3.0GHz 256KB L1 Cache 8MB L2 Cache 1333MHz FSB 771pin LGA Socket Processor For Proliant BL480C Servers. New Bulk Pack. Hewlett Packard - 453188-L21 453188-L21 HP Intel Xeon X5365 Quad-Core 3.0GHz 256KB L1 Cache 8MB L2 Cache 1333MHz FSB 771-Pin LGA Socket Processor. New Bulk Pack. 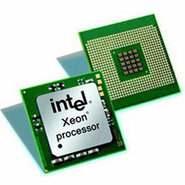 Intel - SLAED SLAED Intel Xeon X5365 Quad Core 3.0GHz 8MB L2 Cache 1333MHz FSB Socket-LGA-771 65NM 150W Processor. New Bulk Pack. Hewlett Packard - 436520-001 436520-001 HP Intel Xeon X5365 Quad Core 3.0GHz 8MB L2 Cache 1333MHz FSB Socket LGA 771 65nm 120w Processor For Proliant Servers. New Bulk Pack. Dell - HP810 HP810 Dell Intel Xeon Quad-Core X5365 3.0GHz 8MB L2 Cache 1333MHz FSB Socket-LGA771 Processor. New Bulk Pack. Intel - BX80563X5365P BX80563X5365P Intel Xeon X5365 Quad-Core 3.0GHz 8MB L2 Cache 1333MHz FSB Socket-LGA-771 65NM 150W Processor. New Bulk Pack. Intel - BX80563X5365A BX80563X5365A Intel Xeon X5365 Quad-Core 3.0GHz 8MB L2 Cache 1333MHz FSB Socket-LGA-771 65nm 150w Processor. New Bulk Pack. IBM - 44E5033 44E5033 IBM Intel Xeon Quad-Core X5365 3.0GHz 8MB L2 Cache 1333MHz FSB Processor. New Bulk Pack. IBM - 43W6133 43W6133 IBM Intel Xeon X5365 Quad-Core 3.0GHz 8MB L2 Cache 1333MHz FSB LGA 771-Pin Socket 65NM Processor For IBM Bladecenter Hs21. New Bulk Pack. Dell - A1312601 A1312601 Dell Intel Xeon X5365 Quad-Core 3.0GHz 8MB L2 Cache 1333MHz FSB Socket-LGA-771 65NM 150W Processor. New Bulk Pack. Dell - 311-7658 311-7658 Dell Intel Xeon X5365 Quad-Core 3.0GHz 8mb L2 Cache 1333MHz FSB Socket-LGA-771 65NM 150W Processor. New Bulk Pack. Dell - CX907 CX907 Dell Intel Xeon Quad-Core X5365 3.0GHz 8MB L2 Cache 1333MHz FSB Socket Lga-771 65NM 150W Processor. New Bulk Pack. Dell - JU771 JU771 Dell Intel Xeon X5365 Quad-Core 3.0GHz 8MB L2 Cache 1333MHz FSB Socket-LGA-771 65NM 150W Processor. New Bulk Pack. Dell - JU769 JU769 Dell Intel Xeon X5365 Quad-Core 3.0GHz 8MB L2 Cache 1333MHz FSB Socket-LGA-771 65NM 150W Processor. New Bulk Pack. IBM - 44E5039 44E5039 IBM Intel Xeon X5365 Quad-Core 3.0GHz 8MB L2 Cache 1333MHz FSB LGA 771-Pin Socket 65NM Processor For IBM Bladecenter HS21. New Bulk Pack. IBM - 43W6133 IBM - INTEL XEON DP QUAD-CORE X5365 3.0GHZ 8MB L2 CACHE 1333MHZ FSB 65NM 150W SOCKET PLGA-771 PROCESSOR ONLY (43W6133). NEW BULK. IN STOCK. SHIP SAME DAY. Hewlett Packard - 436520-001 HP/COMPAQ - INTEL XEON X5365 QUAD-CORE 3.0GHZ 8MB L2 CACHE 1333MHZ FSB SOCKET LGA-771 65NM 120W PROCESSOR FOR PROLIANT SERVER (436520-001). NEW BULK. IN STOCK. SHIP SAME DAY. Hewlett Packard - 453190-B21 HP/COMPAQ - INTEL XEON X5365 QUAD-CORE 3.0GHZ 8MB L2 CACHE 1333MHZ FSB SOCKET LGA771 PROCESSOR KIT FOR PROLIANT SERVER (453190-B21). NEW BULK. IN STOCK. SHIP SAME DAY.